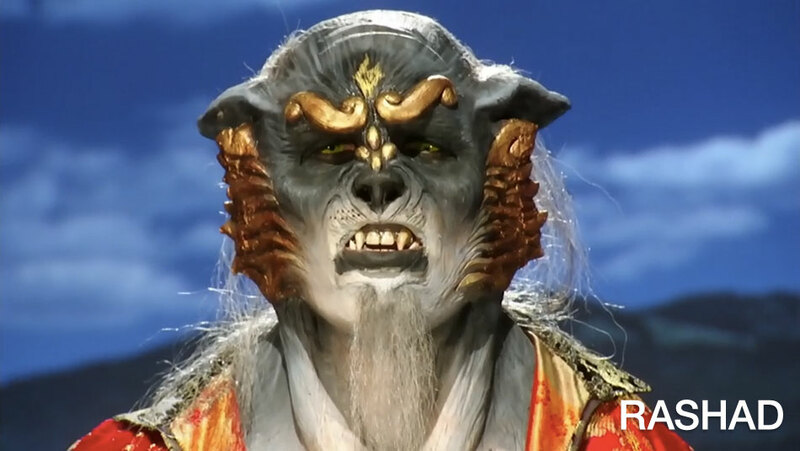 When I heard that last Wednesday’s episode of Face Off was the conclusion of a two-episode competition involving vampires and werewolves, I had to take a look. What I saw puzzled me: alien werewolves. 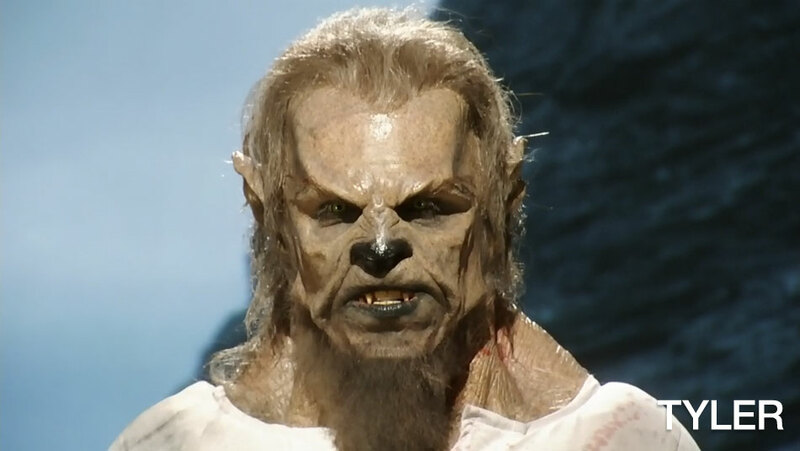 In “Cry Wolf”, the four remaining competitors were tasked with creating werewolves displaying “newly-evolved feature specifically designed to take their vampire rivals down”. They did something very similar a year ago. Is it a rule that every challenge on this show has to be hampered by the requirement that the creature be from another world? 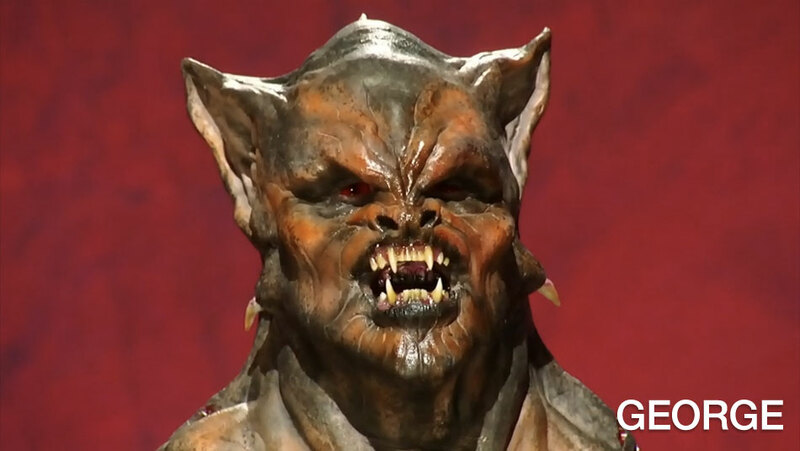 Isn’t it challenge enough to design, sculpt, cast, paint and finish a unique werewolf design in 20 hours without having to make it look like a background extra from an episode of Star Trek: The Next Generation? But I digress. The four competitors were Rashad, Tyler, George and Niko. Each one of them definitely worked a unique angle in the design of their otherworldly werewolves. Rashad’s Asian-themed werewolf had the ability to throw flame from his hands, Tyler’s design was classic werewolf with the addition of giant wrist bone spurs, George’s werewolf was actually an evolved version of his vampire design, and Niko’s creation was covered in spikes to ward off his vampire’s super long, super creepy tongue. 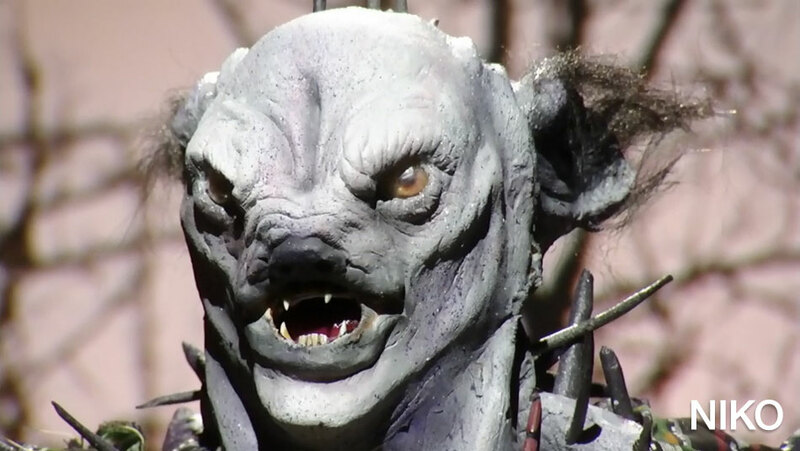 I won’t tell you who got eliminated, but I will say that it wasn’t Tyler, whose old-school werewolf design I liked best. One other observation about the episode – despite the standard reality TV techniques trying to inject drama into the proceedings (tense music, reaction shots, playing up injuries and accidents, etc. ), these four guys really seemed to get along. There wasn’t any bickering or trash-talking, and they seemed to respect each others’ work. I don’t know if it was because of the professionalism of the industry, or just because these guys do like each other, but it was nice to see.